Valentine’s Day is coming around once again. Last time this year we mentioned how many people were taking their Valentine’s shopping online. This year seems no different, with many of our e-commerce websites featuring new Valentine’s Day sections in preparation for the big day, this coming Monday. Saint Valentine’s Day, commonly shortened to Valentine’s Day, is an annual commemoration held on February 14 celebrating love and affection between intimate companions. The day is named after one or more early Christian martyrs named Valentine and was established by Pope Gelasius I in 500 AD. It was deleted from the Roman calendar of saints in 1969 by Pope Paul VI, but its religious observance is still permitted. 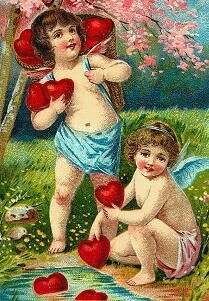 It is traditionally a day on which lovers express their love for each other by presenting flowers, offering confectionery, and sending greeting cards (known as “valentines”). The day first became associated with romantic love in the circle of Geoffrey Chaucer in the High Middle Ages, when the tradition of courtly love flourished. Best wishes go out to all couples who will be celebrating Valentine’s Day on the 14th.